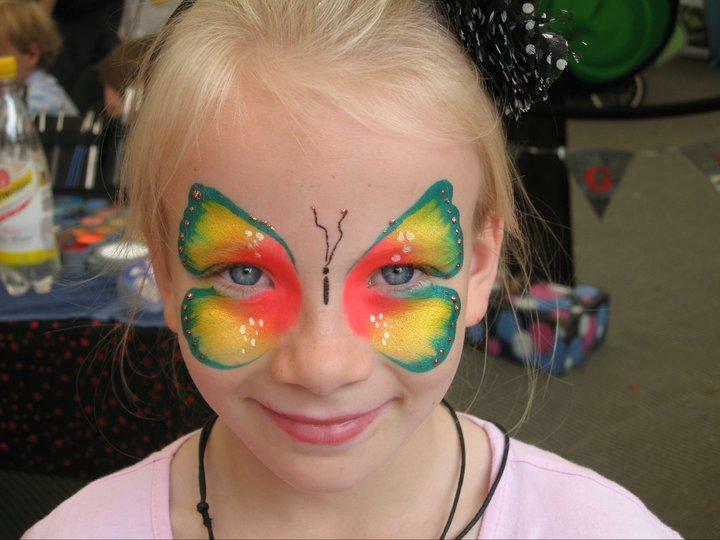 enise allows children and adults to choose from a vast range of designs. The photo display boards show a choice of new and old faces. She is constantly inventing and updating our range. We are also happy to reproduce company logos, your own design or work to a theme. You will be delighted with the results!! 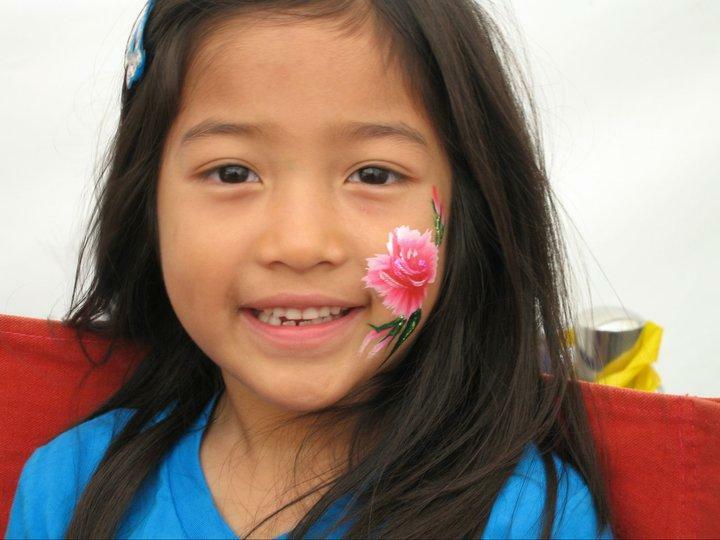 Denise is experienced working with children and has been trained to very high standards. 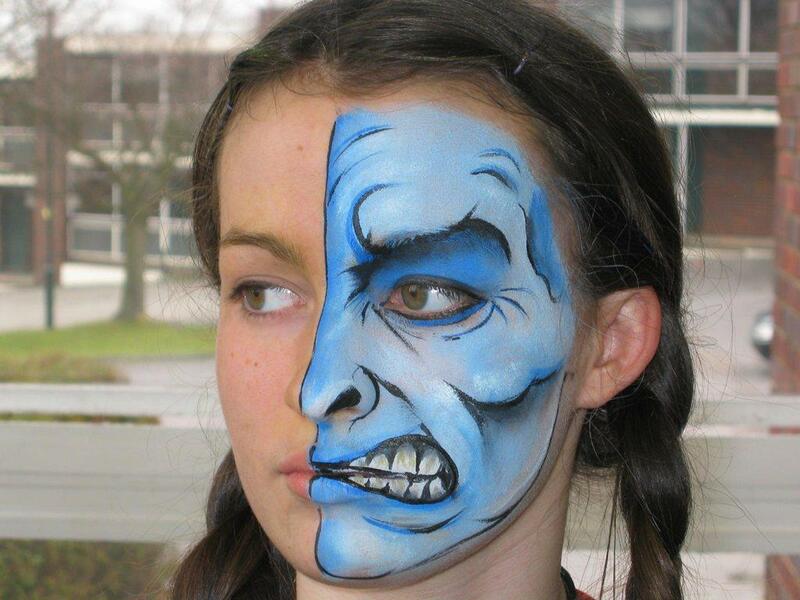 She operates the code of practice laid down by Grimas, the original face paint company. This means she provides the most parent-friendly, efficient service you could wish for! 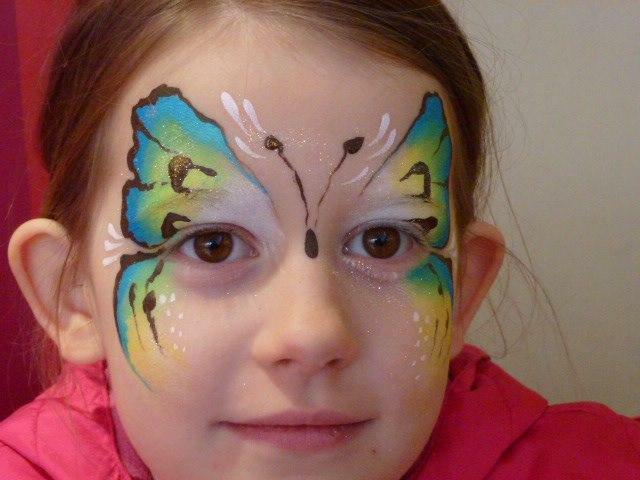 She has also appreared on Anglia TV demonstrating Halloween facepainting. 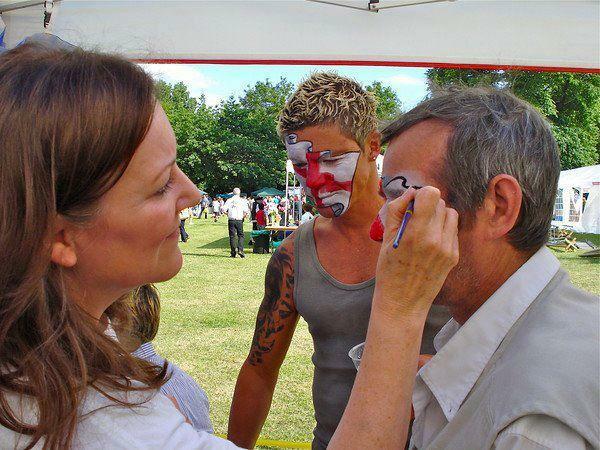 Denise also belongs to the Facepainting Association [FACE] and carry full public liability insurance.